Seventeen years is a long time in golf – more than the lifetime of Masters’ competitor, Guan Tianlang, in fact, and far more than the career-span of many tour golfers. So, a Major title for an Englishman was long overdue (Lawrie, Clarke, McDowell and McIlroy have claimed them for Scotland and Northern Ireland more recently – or “Britain”, as we English would like to say). It was Nick Faldo at The Masters, back in 1996, that we last saw an English pair of hands on one of the four most coveted trophies in golf. To remind you how long ago that was, that was the year that O.J.Simpson went on trial for murder, Dolly the Sheep was cloned, and many golfers were still using persimmon headed drivers! With a hiatus that long, Justin Rose’s sensational performance over the weekend came as a much needed tonic to our English sensibilities. For almost the same length of time, Rose has been failing to fulfil his early promise (if you exclude making millions of dollars playing golf). 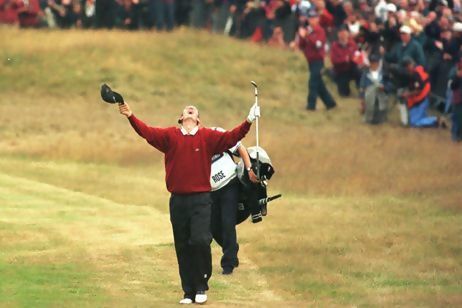 His was a destiny that was littered with Major trophies according to the soothsayers back at Royal Birkdale in 1998. Fifteen years later, after much toil and agony (most notably with the loss of his father), along came the ecstasy of number one. Devilishly difficult, the course at Merion provided a thrilling final day’s play. Forget your Sunday charge up the leaderboard, this was about holding on for dear life and it was no less entertaining for that fact. Rose played superbly, and held on to his game and his nerve better than anyone. His ball striking, short game and mental strength were a cut above anyone else on show. He, and the rest of the world’s leading golfers, now head to these shores and to Muirfield for The Open, where we can only hope that English (or British, more importantly) Major Champions come along like the proverbial buses. Unlike Royal Birkdale in 1997, Rose will now go to The Open as one of the favourites. Back then, the wiry 17 year old amateur famously finished fourth with a spectacular chip-in (well, it was much more than a chip) on the last hole. He turned professional the very next day and immediately suffered the loss of his form. Perhaps it was the spotlight, or the step up in class, but whatever it was, it was a significant blow to his confidence and the beginning of a long road back to success. That road back began with graduating from Tour School in 1999. Rose’s first professional victory arrived a couple of years later at the 2002 Dunhill Championship in South Africa (the land of his birth, as all the xenophobes will be at pains to tell you when you call him English). A few years on, in 2007, Rose proved himself a consistent performer by winning the European Order of Merit. From here, the Ryder Cup became an inevitability, and in Nick Faldo’s team at Valhalla in 2008 Rose finished as the top Rookie from either side. Arguably, it was the decision to employ Sean Foley as swing coach in 2009 that laid the foundations for his Major success. Rebuilding any swing takes time, but Rose’s maiden PGA Tour victory came just a few months later at Jack Nicklaus’s Memorial Tournament in 2010. Three further US wins followed, the last of which being the most significant before Sunday – the WGC Cadillac Championship in 2012. 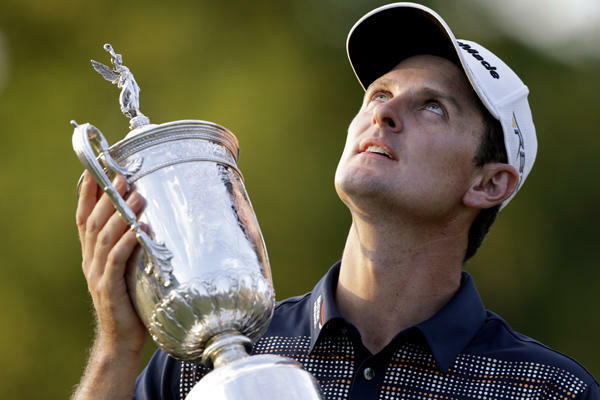 But for me, it was Rose’s performance against Phil Mickelson in the singles of the Ryder Cup at Medinah that, looking back, proved to be the turning point in his career. Widely regarded as the catalyst for victory on the final day, you couldn’t help but feel Rose came of age on those closing holes, and from then on a Major title was a distinct and imminent possibility. That his swing held up under the pressure cooker environment of the Ryder Cup, and subsequently on Merion’s back 9 last Sunday, shows us why many of his peers presently regard him as the finest ball striker in the game. Woods (a fellow Sean Foley student) has certainly conceded that Rose has the best swing of the coach’s stable. But it’s not just his swing. Every facet of his game is top class now, so it would be no surprise to see him add to his Major haul over the coming years. Especially when you consider that he is still only 32! With a name like Rose, the floral metaphors are all too easy (even if they are a little lazy), but I’m sure he would acknowledge that, pricked by the thorns of those numerous missed cuts early in his career, his belated flowering of his US Open smelled all the sweeter. Here’s hoping this English Rose becomes a perennial winner.